It is formulated to protect Walls, Iron, and Wood which are under extreme conditions in a matt look. Clean the surface by removing all dirt and grease. Remove loosely adhering or defective paint. 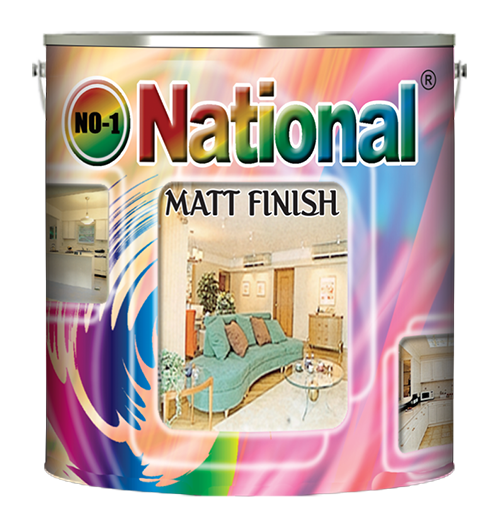 For best results apply one coat of No 1 National primer sealer .It will give excellent finish and smooth silky effect. Ensure wood is moisture free. Dry scuff with sand paper. Apply one coat of No 1 National under coat and allow it to dry over night. Dry scuff again fill the surface if required and dry scuff once more.